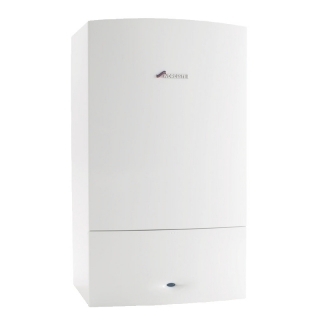 The Greenstar 35CDi Classic System boiler is Worcester's top performing and biggest LPG system boiler. It’s suited to bigger properties with a larger heating requirement even small commercial properties. The Greenstar CDi Classic System boiler offers the ultimate in energy savings when combined with our new generation intelligent controls and our Greenskies solar water heating panels. The pump has now been upgraded to a low energy model which meets ErP legislation. Worcester Diverter Valve Kit required to operate all optional Worcester controls.